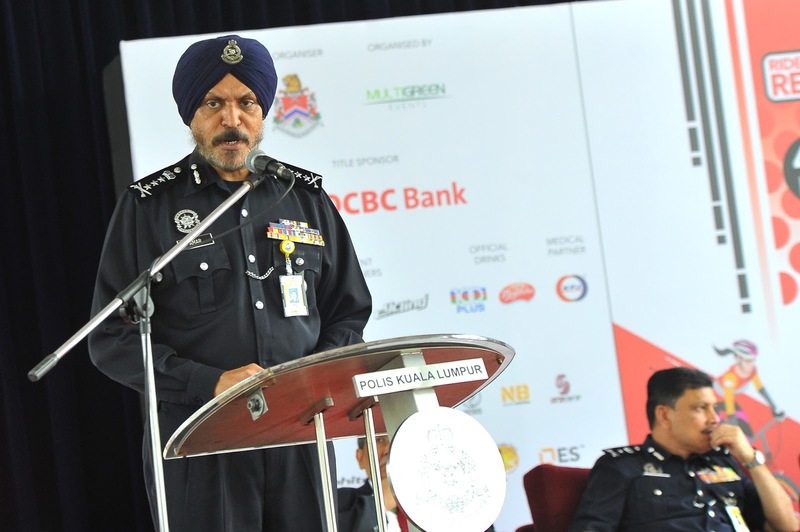 Kuala Lumpur, 7 November 2016 – The Kuala Lumpur Police Chief Commissioner Datuk Amar Singh Ishar Singh today unveiled the route for the upcoming OCBC Cycle KL 2016, spanning 14 kilometres across some of the capital’s most iconic landmarks. 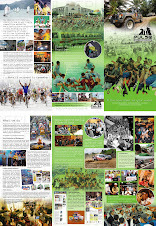 Participants will cycle three times round the circuit in their quest to complete the 42km ride. 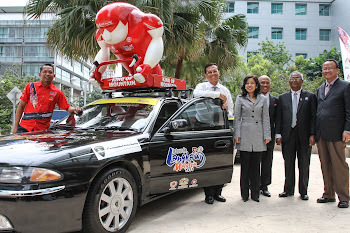 At the same event, Datuk Amar Singh welcomed OCBC Bank (Malaysia) Berhad’s role as title sponsor of OCBC Cycle KL 2016. 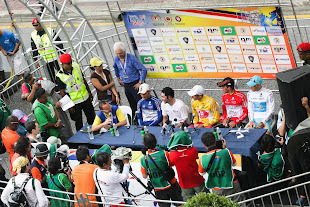 The other sponsors unveiled were Great Eastern Life Assurance, Warisan Outdoor, Cycling Malaysia, 100 Plus, F&N Magnolia, KPJ Healthcare, Malindo Air, Inno Advance Car Racer, Garmin Malaysia, Ciclista, N8 Sports Nutrition, Sunplay, Phiten, After Shokz, Trek Finder Tours, Tire Care. 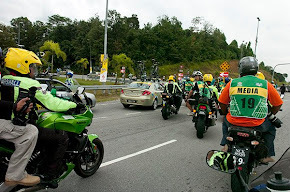 Organised by Multigreen Events, OCBC Cycle KL 2016, takes place on 13 November 2016 at Dataran Merdeka starting at 6.30am. 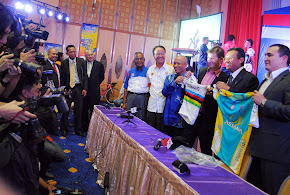 The event is supported by Kuala Lumpur City Hall and the Malaysian National Cycling Federation. Speaking at the OCBC Cycle KL 2016 route unveiling press conference today, Datuk Amar Singh gave the thumbs up to the upcoming mass participation cycling event on closed public roads saying all preparations were well underway to make it a safe, smooth and successful event. 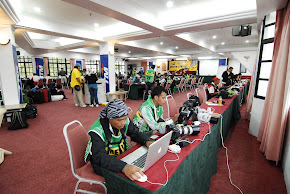 “The event has already seen more than 2,000 signing up, with several overseas participants as well. 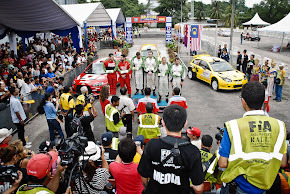 This is much higher than last year and augurs well for both sports and tourism in Kuala Lumpur. On our part, we will ensure the necessary closures are in place and that traffic remains smooth and safe for everyone,” he said. 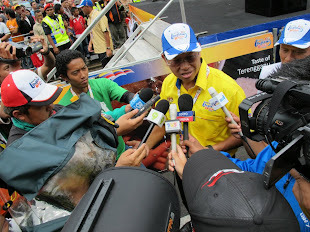 Sharing the details of the route, Datuk Naim Mohamad, Chairman of the OCBC Cycle KL 2016 Implementation Committee said OCBC Cycle KL 2016 flags off at Dataran Merdeka and takes riders through familiar roads such as Jalan Raja, Jalan Sultan Salahuddin, Jalan Tun Ismail, Jalan Raja Laut, Jalan Sultan Ismail, Jalan Ampang, Jalan P. Ramlee, Jalan Dang Wangi, Jalan Tunku Abdul Rahman and Jalan Sultan Hishamuddin. 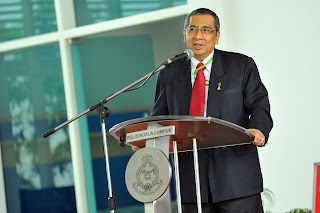 “The most distinct changes from last year is the introduction of an additional 7 kilometre stretch through Open University adn IU Wales Malaya University. We are sure the participants will enjoy the scenic views provided by this addition. 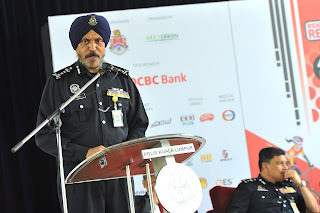 “We are grateful for the support from Kuala Lumpur City Hall and the Royal Malaysian Police (PDRM) who have been working closely with us to ensure smooth traffic movements and public safety on event day. This includes efficient planning to communicate the traffic movements to the public,” he said. 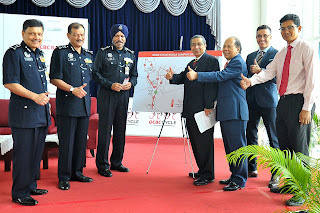 OCBC Bank (Malaysia) Berhad Head of Customer Experience En Dzulkifly Aminuddin, who was present at the event, said the Bank is excited about the new route, which promises to be more challenging and enjoyable. 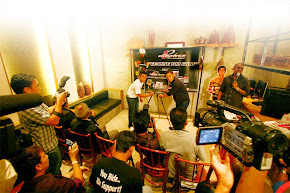 “We are set for an enthralling experience this year, with fewer loops over the same distance. The cycling community can look forward to a memorable morning soaking in more of the city’s beauty and iconic sites compared to last year. 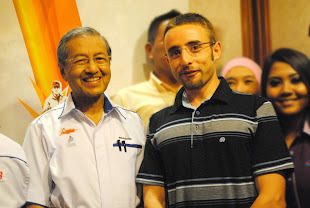 And they will be joined by about 300 of OCBC Bank’s own staff from both Malaysia and Singapore,” he said.